A loft conversion is a great way to add more space and value to your home. But how do you make sure you get enough light in? We've asked Velux to tell us about their latest products to create a bright and light loft space. Transforming a dark, unused loft into a light and functioning room requires plenty of imagination, but it needn’t be a leap of faith. As long as you take your time, consider all your options and ask the right questions up front – and have the money to invest – you’ll soon have a stunning space that you and family can enjoy for years to come. When you’re looking at an empty loft space it can be hard to visualise it as a beautiful space flooded with daylight and fresh air. One aspect of a loft conversion that often gets overlooked is the daylight solution. A daylight solution isn’t just about the amount of light you have coming in. It’s also about making the most of views, maximising the sense of space and creating a room that looks great, feels great and works just the way you want to. When you get daylight right your room feels bigger, the space is brighter, and you feel better. 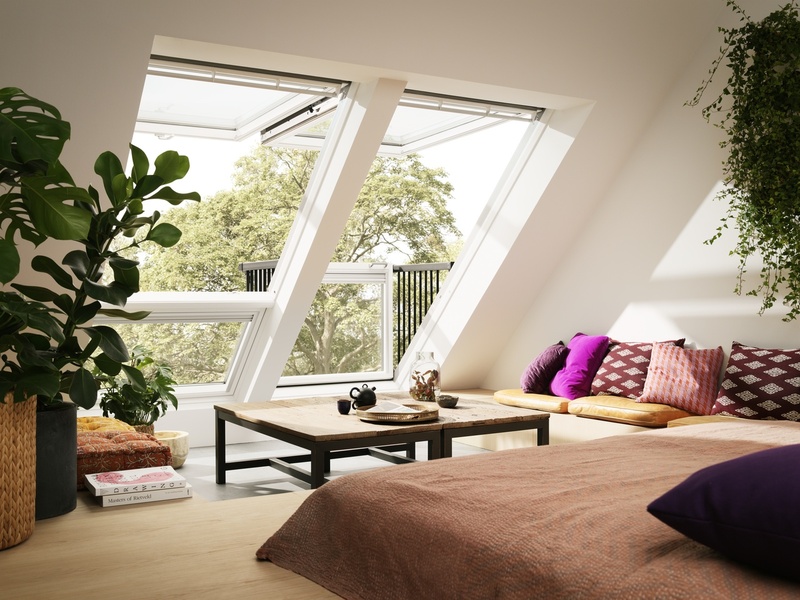 VELUX top-hung windows are a a great match for your loft conversion. They open outwards, providing more head height and offer uninterrupted views. They are ideal for spaces where your windows are in reach, and most sizes comply with emergency escape requirements. If you’re looking for an even bigger wow-factor, the VELUX CABRIO® Balcony transforms a roof window into a balcony in seconds, allowing you to take full advantage of the views from your loft space. Planning permission usually isn’t required, but we always recommended checking with your local authority just to be on the safe side. To ensure maximum light, choose either Velux’s white-painted or white polyurethane (perfect for the en-suite) internal finishes. The white colour not only complements modern interiors, it also reflects more daylight around the room creating an even brighter and welcoming space. How many windows and where? 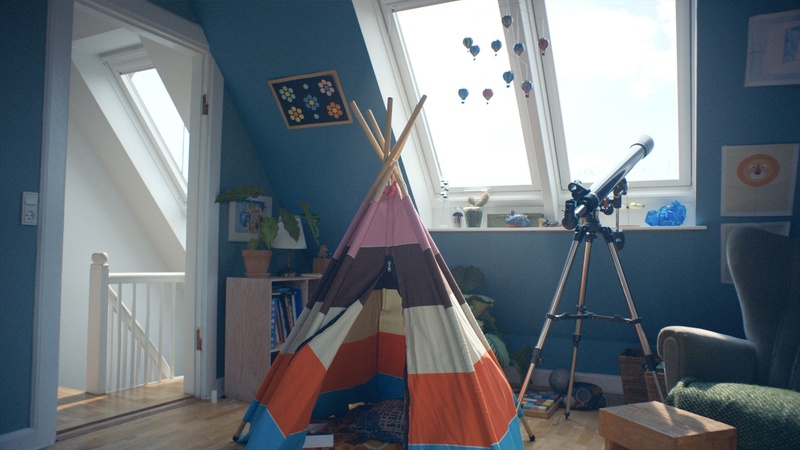 To bring in the perfect amount of natural light to the space, Velux recommend that your roof windows should make up the equivalent of 15-20% of the room’s floor space. But if you’re unsure which type, size or number of roof windows you should go for, you can either speak to a VELUX daylight expert or download their MyDaylight app that allows you to create the dimensions of your loft space and visualise where you should add daylight.